What’s a ‘hot’ and ‘cold’ pokie machine? When a pokie is described as running ‘hot’ this means that it seems to be paying out a lot more money than it should given its payout percentage and the law of averages. In contrast, when a pokie is running ‘cold’ it is paying out less than it seemingly should based on its payout percentage and the law of averages. Random number generators can have times when the machine runs hot and cold over a sustained period. This is not a fault in the pokie, or in the random number generator. It is just a statistical anomaly. What is a good system to beat the pokie machine? Unfortunately, there is no proven ‘winning formula’ for success when playing a pokie. The fact that these machines are based on a random number generator, means that predicting any form of pattern from spins or being able to ‘predict’ a winner is impossible. The only way you can increase your chances of success are playing the maximum number of lines, playing on pokies that offer a higher payout percentage and playing more often. Where did the name ‘pokies’ originate? The term ‘pokies’ refers to slot machines and the term originates from the first machines that grew in popularity in Australia and New Zealand. When the first machines were brought to the countries, they were based on the hands of poker and as a result, the nickname “pokies” grew in popularity and has remained in common usage in New Zealand and Australia ever since. Where can I read the latest information about free pokies? If you are looking for a top quality source about all the latest online pokies, tips on how to play, reviews of the latest games and information about top quality casinos, then visit the best new pokies blog on the Internet The Pokies King. Which casinos are recommended to play pokies at? You can play pokies at thousands of casinos but in truth, the best casinos to play pokies at are those that offer an exceptional range of games, big progressive jackpot games, rigorously tested software to ensure it is safe and fair and exceptional customer service. As such, we recommend playing at any of the casinos part of the Casino Rewards network (such as Nostalgia Casino, Luxury Casino, Casino Classic, Lucky Emperor Casino and many more). Not only do these casinos offer first rate pokies action, but also outstanding service for the customer, not to mention the very best start up bonus deals. Is a pokie machine always random? Yes. Every spin on a pokie machine is completely random. You are as likely to win the jackpot the very next spin after a jackpot has been won, as you are on spinning the reels a year after the jackpot was last won. When is a good time to play pokies? In truth, the advent of mobile technology means that there is now never a bad time to play pokies. You can play from home, travelling to work, in your lunch break, whenever suits you. Online casinos operate 24/7 and with extensive customer support available 365 days a year, there is never a bad time to play. Do some pokie machines have higher payout percentages than other machines and why? Yes, some pokie machines do have higher payout percentages than others. The difference in these percentages is known as ‘variance’. A low variance machine pays out smaller amounts of money more often, whereas a high variance machine pays out much larger sums, but less frequently. The reason casino operators adjust the payout percentages on machines is for a variety of reasons. Partly it is to allow some gamers the chance to win a life-changing progressive jackpot, others are to allow regular gamers the chance to win smaller amounts more often and lastly, to ensure that the casino makes a profit on the machine. Is it recommended to play on a newer pokies machine? That depends. There’s no reason why a new pokies machine will be more likely to pay out than a pre-existing machine. However newer pokies do tend to come with exciting new features, bonus games and more making them more interesting to play for many users. 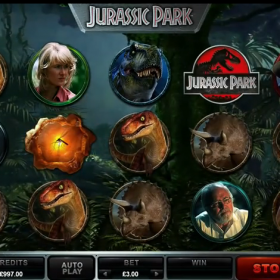 If you like innovation and new features, then it is always a good idea to try out new pokies. 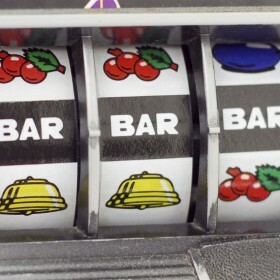 Is there a secret to winning on the slot machine? No. Anybody professing to have cracked ‘the secret’ to guaranteed slot machine success is lying. The process is entirely random. What is a progressive pokie machine? A progressive pokie machine is a machine where a small amount of each wager is placed into a pot which grows over time. This is a progressive jackpot and it is only rarely triggered. As such, this allows more money to be paid into the pot with every spin and thus, the jackpot grows. One of the most popular progressive pokies in the world today is Microgaming’s outstanding Mega Moolah slot. Game history can refer to two things. It can refer to the pokies you have played at a particular casino (often stating for how long, how much you spent and how many spins you had) or it can refer to the history of the slot you are playing. For example, Mega Moolah has a website dedicated to outlining when its jackpots were won and by whom, so it is relatively easy to see this game’s history over the last few years when reading that. Am I always guaranteed a win? No. Each spin is random. You are not guaranteed a win whether you play one, ten or 100 spins of the same game. However, the more spins you have, the more likely you are to hit a winning line at one point or another. Is it safe to play online pokies? Absolutely. All the Microgaming pokies and casinos are stringently tested by eCOGRA to ensure that they comply to fair play guidelines and that the users data and personal information is as secure as possible online. Few online business have as stringent rules regarding customers personal data or fair usage as online casinos. Do I need to download software in order to play? 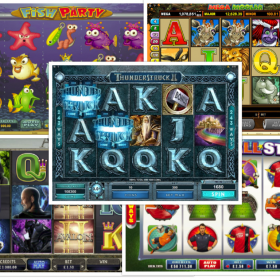 Yes and no; if you visit the Pokies King website you can play a number of pokies for free without having to download the game. However if you want to play for real, then you will usually have to download the casino software onto your PC, phone or tablet. That said, if you utilise a new player bonus at a casino you can often play for free for a limited time at a number of casinos Some casinos, such as Luxury Casino, also offer a ‘no download’ version which is handy if you are playing on a shared device. Why play online rather than in a land-based casino? The biggest factor to playing online is that you can play when you want, where you want. 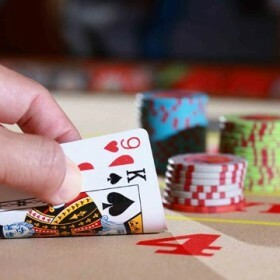 Online casinos also offer better sign up bonuses, bigger jackpots, higher payout percentages and of course, there is no surveillance when playing in an online casino. Is there anything else I need to know before I start playing? The only thing to remember is to ensure you get your full bonus before you start playing and also check out what deposit bonus you will earn at the casino when you make your first deposit into your account. Other than that, slots are as simple to play as any game you could wish to find in a casino and that drives their popularity. Good luck and we hope you land that big progressive one day!